There are then several chapters dedicated to the anesthetic management of specific neurosurgical procedures and patient populations. The most practical clinical pearls on what to do and how and when to do it are presented in concise outline format, with hundreds of tables, graphs, and algorithms that summarize and prioritize crucial points. 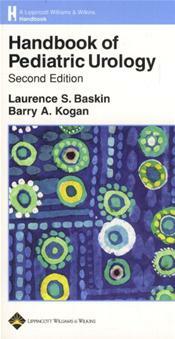 Others, such as those dedicated to interventional neuroradiology, intraoperative magnetic resonance imaging, epilepsy surgery, and awake craniotomy, reflect recent trends in neurosurgery that have evolved tremendously since the previous edition; this section also contains excellent chapters on pediatric neuroanesthesia and neurosurgery in pregnant patients. 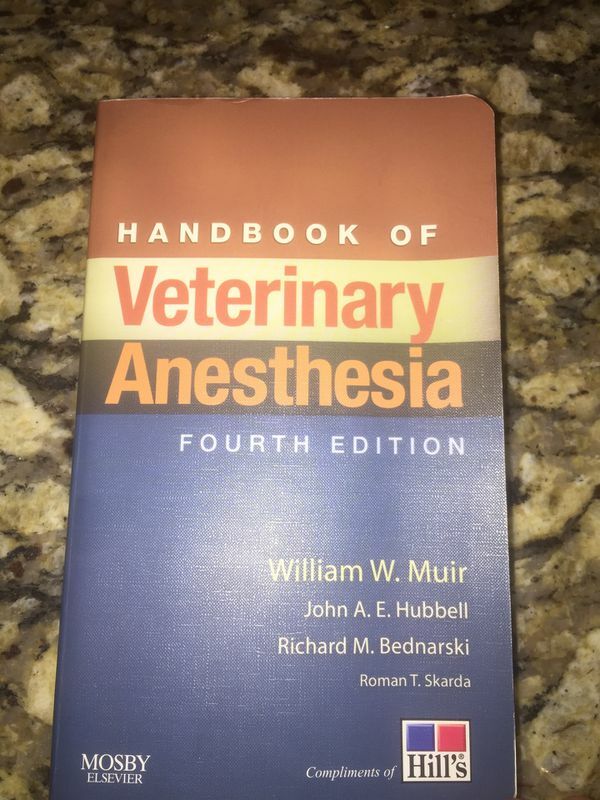 Although perhaps providing more detail than required by junior residents, it can be wholeheartedly recommended to senior residents looking to take their knowledge of neuroanesthesia up a level without engaging an enormous textbook. Overall, the use of figures and tables is very good, with all the core material presented in a concise and readily understandable form. 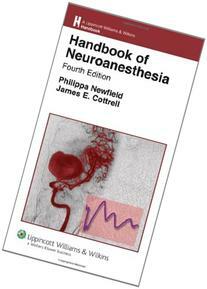 Handbook of Neuroanesthesia, 4th Edition. Description Thoroughly updated for its Fourth Edition, this handbook is a complete, convenient, and practical guide to perioperative management of neurosurgical patients. Ensure your patients receive the best care possible with excellent coverage of all monitoring techniques including transesophageal echocardiography. To get started with Anesthesiology, we'll need to send you an email. This book should be regarded as an essential purchase at the beginning of the year for anybody undertaking a neuroanesthesia fellowship, and should be carried at all times. Spinal Cord: Injury and Procedures 17. Decide which equipment is best suited for anesthesia delivery both inside and outside the hospital. New material is also included on acute treatment of stroke, brain death, and management of brain-dead patients during harvest of donated organs. Anesthetic Management of Head Injury 9. Physiology and Metabolism of the Brain and Spinal Cord 2. This edition covers new developments in interventional neuroradiology, treatment of cerebral and spinal cord ischemia, awake craniotomy, and therapies for children with central nervous system diseases. Some of these, such as those describing anesthesia for posterior fossa surgery, supratentorial tumors, and head trauma, are current versions of topics that have long been the staple of neuroanesthesia texts. Thoroughly updated for its Fifth Edition, this handbook is an essential guide to perioperative management of neurosurgical patients. We may ship the books from Asian regions for inventory purpose. We have emailed you at with instructions on how to set up a new password. It should make its way onto the bookshelf of general anesthesiologists who find themselves encountering neurosurgical cases, and who seek an accurate and current reference to help them optimally understand and manage these challenging cases when they arise. This updated exam guide keeps pace with these developments and assists anaesthetic trainees in preparation for the exam. This edition covers new developments in interventional neuroradiology, treatment of cerebral and spinal cord ischemia, awake craniotomy, and therapies for children with central nervous system diseases. Cottrell have edited an excellent book. Anesthesia for Supratentorial Tumors 10. Examination Anaesthesia, 2nd Edition is a comprehensive study guide that focuses solely on the anaesthetic exam, eliminating confusion between this and the intensive care exams. New material is also included on acute treatment of stroke, brain death, and management of brain-dead patients during harvest of donated organs. The chapters reflect recent advances in neurophysiology, pharmacology and monitoring related to the practice of neuroanesthesiology. Components of the final examination are also detailed, including a breakdown of the marking scheme and recent results. In a quick-reference outline format, the book provides detailed instructions on anesthetic management during all neurosurgical and neuroradiologic procedures and on intensive care of neurosurgical patients and patients with head injury. Each chapter is concise and focused, and is structured as a hierarchical outline with somewhere between a single sentence and two short paragraphs addressing each point. In a user-friendly, quick-reference outline format, the book provides detailed instructions on anesthetic management during all neurosurgical and neuroradiologic procedures. This edition covers new developments in interventional neuroradiology, treatment of cerebral and spinal cord ischemia, awake craniotomy, and therapies for children with central nervous system diseases. Update your knowledge of emergency room airway equipment to ensure the best results. Respiratory Care of the Neurosurgical Patient 22. Provides a solid review for written and oral exams. Written by a multidisciplinary team of experts, the handbook is expected to become a well-worn companion and essential aid to the busy practitioner. 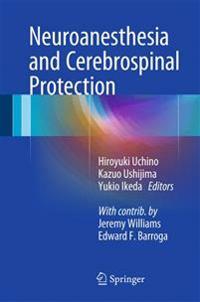 Chapters at the beginning of the book are dedicated to general considerations derived from neurophysiology and pharmacology, including excellent chapters on neurophysiologic monitoring and cerebral protection. New material is also included on acute treatment of stroke, brain death, and management of brain-dead patients during harvest of donated organs. The sections on central nervous system trauma, intraoperative management, brain protection and postoperative care provide a conceptual framework for current clinical practices. This textbook is the fifteenth in a continuing series documenting the proceedings of the Postgraduate Course of the Department of Anesthesiology of the University of Utah School of Medicine. This one-stop, full-color reference, edited by an expert team from Massachusetts General Hospital, skillfully brings you up to speed. New material is also included on acute treatment of stroke, brain death, and management of brain-dead patients during harvest of donated organs. Cerebral Protection and Resuscitation 5. It reflects, as well as past and future volumes, the rapid and continuing evolution of anesthesia in the last years of the twentieth century. Disruption of the Blood-Brain Barrier 16. In a quick-reference outline format, the book provides detailed instructions on anesthetic management during all neurosurgical and neuroradiologic procedures and on intensive care of neurosurgical patients and patients with head injury. The book is weighted heavily to intracranial procedures, with far less emphasis on the spine; neuroanesthesiologists whose practice includes substantial exposure to spinal surgery will find an excellent chapter on the management of spinal cord injury, but only a relatively cursory discussion of the complex management of major spine procedures. 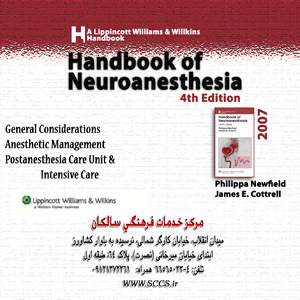 What a pleasure it is then, as a neuroanesthesiologist, to read and review the fourth edition of the Handbook of Neuroanesthesia. New material is also included on acute treatment of stroke, brain death, and management of brain-dead patients during harvest of donated organs. Because it is tacitly assumed that the reader already possesses a conceptual grounding, this is probably not an ideal first choice for students new to the principles and vocabulary of anesthesiology; on the other hand, by sparing narrative dedicated to the introduction of concepts, this little handbook that measures less than 5 × 8 inches contains more current factual information than primary texts of much greater size. This edition has a new full-color design and colorized illustrations. Yet, however much we may learn during residency and fellowship, the sheer volume of knowledge and the humbling realities of human memory mean that we need something to refer to when we are in need of a reminder, a clarification, or when we simply wish to review a topic to reinforce and consolidate our memory. In a quick-reference outline format, the book provides detailed instructions on anesthetic management during all neurosurgical and neuroradiologic procedures and on intensive care of neurosurgical patients and patients with head injury. In a quick-reference outline format, the book provides detailed instructions on anesthetic management during all neurosurgical and neuroradiologic procedures and on intensive care of neurosurgical patients and patients with head injury. . Review: -This is an outstanding guide to most aspects of this subspecialty.